A notice has been issued by the California Dept. 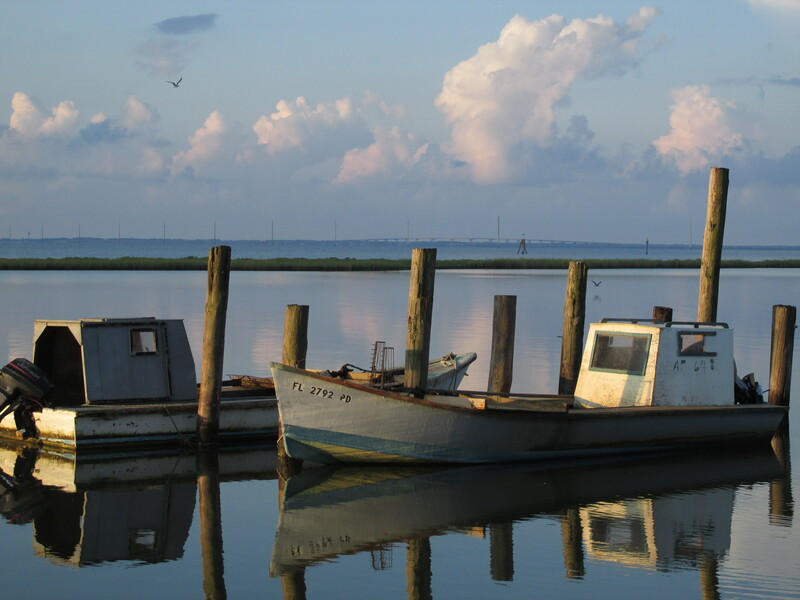 of Public Health dated June 27 that is seeking public comment on a proposed rule change regarding the allowable level of microbial Vibrio vulnificus in post-harvest processed Gulf oysters. 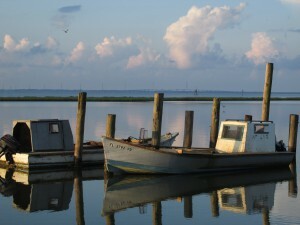 Post-harvest processed oysters are regulated as raw, but have been subjected to a process to reduce levels of Vibrio vulnificus. The current rule states that levels must be less than 3 MPN/g (Most Probable Number/gram) whereas the proposed change would allow a critera of less than 30 MPN/g of Vibrio vulnificus. Restrictions regarding raw Gulf oysters harvested during April through October that have not undergone post-harvest processing to reduce Vibrio vulnificus will remain in place. This change would bring California’s molluscan shellfish regulations into alignment with standards adopted by the National Shellfish Sanitation Program of the U.S Food and Drug Administration (FDA) and the Interstate Shellfish Sanitation Conference (ISSC). All other member states of the ISSC have already adopted the less than 30 MPN/g standard in post-harvest processed oysters. This newer standard has been deemed safe since it has been in use from 2005 with no documented Vibrio vulnificus infections associated with raw oysters processed at the less than 30 MPN/g level according to FDA data. This change is anticipated to increase the amounts and varieties of post-harvest processed oysters imported into California from Gulf states. If you would like to see materials regarding this action you may access them here. Inquiries about the proposed regulations may be directed to Pat Kennelly, Chief, Food and Drug Branch, Food Safety Section, at (916) 650-6598. 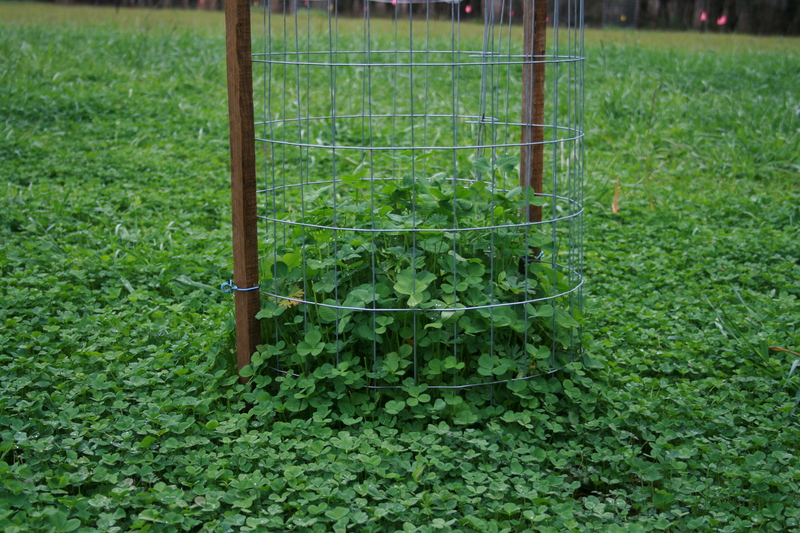 Legumes – arrowleaf clover, crimson clover, ball clover, red clover, white clover, vetch and winter peas to name a few. Grasses – ryegrass, oats, wheat, rye, and triticale (a man made cross of wheat and rye). Legumes need to be inoculated with a rhizobium bacteria prior to planting. This will allow the plant to manufacture nitrogen and eliminate the need for extra nitrogen application. 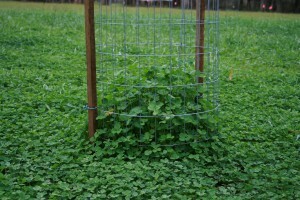 The pH range for most of these plants will between 5.5-7.0 but some clovers need a higher pH. I would recommend planting a mixture of these forages. One mixture that had a lot of success in our research plots in Quincy included arrowleaf clover, red clover, crimson clover, white clover, buck forage oats and tillage radish. The target pH for that mixture would be 6.0. What Is Up with All the Sharks? 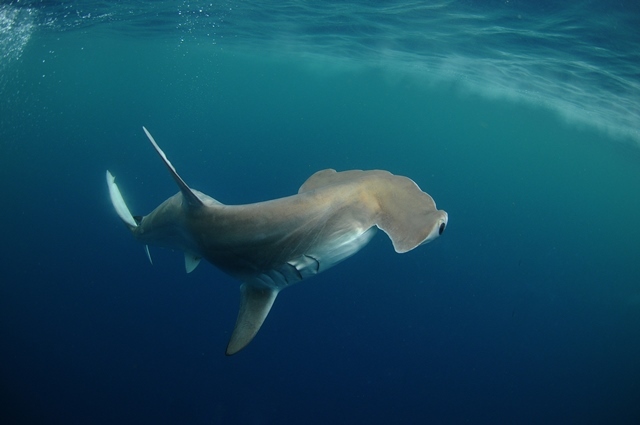 Since the beginning of the summer, panhandle residents and visitors have been reporting numerous sharks hanging out along the sandbars near the passes. , cruising between the 2nd sandbar and the beach. One visitor was even bitten; raising the question – WHAT’S UP WITH ALL THE SHARKS? Actually, over the years sharks have been feeding along on the sandbars. While tagging sharks at Dauphin Island Sea Lab we would send an ultralite aircraft up to spot their locations. The pilot often reported seeing sharks hanging out on the sandbars near the pass. The sharks generally moved slowly until the shadow of the aircraft would hit and spook them into swimming off. Surfers and fishermen alike know that sharks frequent the inshore waters near the beach during the warmer months. 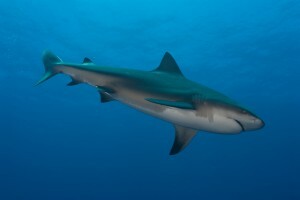 Some or the larger sharks certainly enter the bays where feeding and breeding probably occur. So, finding them in these locations is not that unusual. What seems to be unusual this year are the numbers. Locals who have worked these waters for years say they have seen more sharks on the sandbars than they remember in the past. We do not have data on how many sharks typically are found on bars, so there’s no conclusive proof that the number seen this summer is significantly more. However, if the folks out there every day say they are seeing more, then there may be something to it. The gathering of sharks may be due to feeding. Like any other animal, they gather where the food is. I have seen Jack Crevalle gather at the mouths of our bayous feeding after a fish kill. The big flood this summer dropped salinities below normal and many estuarine animals died; Big Lagoon was littered with dead clams. It is possible that the sharks are feeding on these with the outgoing tides. If there is more food there would be more sharks. Another possible explanation could be temperature control. Like all fish, sharks are ectothermic (cold-blooded) and need warm water to keep maintain their body temperature. Divers searching for lionfish this spring indicated that the bottom temperatures have been colder than normal this year; again, possibly due to the flood waters or an upwelling from the deeper Gulf. The sharks may be gathering where warmer water can be found: shallow water over bars. 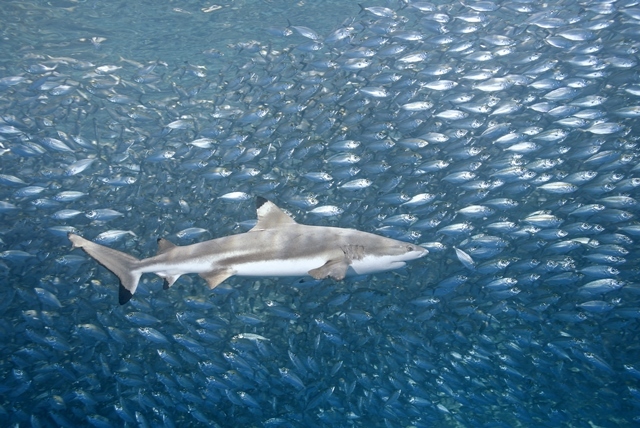 Outside of nurse and lemon shark species, breeding in sharks has rarely been observed. However, now is the time of year when this occurs and the National Marine Fisheries has considered the estuaries of the northern Gulf potential breeding areas for some species of shark. As far as the threat of attacks are concerned, there is really not a high risk. Certainly sharks in feeding mode in shallow water could be a potential threat. But according to the International Shark Attack File at the Florida Museum of Natural History only 21 attacks have occurred in panhandle waters since 1882 and 2 were fatal; 1 in Bay County (1988) and 1 in Walton (2005) . Following some simple rules will reduce your risk of shark bite. Swimming in or near baitfish or where recreational fishing is going on could increase your chances; avoid these. Though shark attacks occur all hours of the day and night there seems to be more during dawn and dusk, as these are their primary feeding times. Lifeguards along the coast are constantly watching for these fish along with other hazards. Following these simple rules should allow you to enjoy the water without concern. If you have any questions about sharks contact your county Sea Grant Extension Agent.